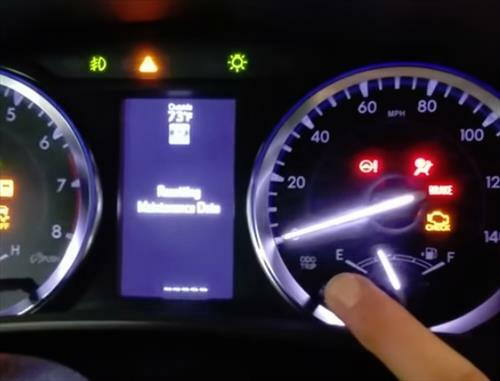 Resetting a Toyota Highlander Maintence REQD Service light is easy to do with a few steps. 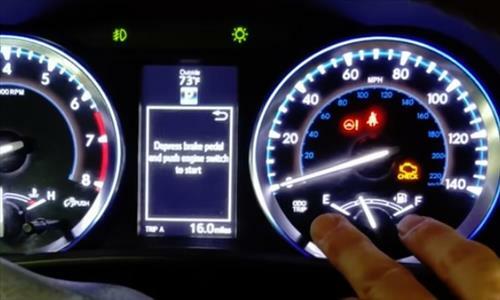 The light often comes on and needs reset after an oil change or similar. Below are both quick steps along with the steps with pictures if needed. The button used To Reset Light Maintenance Light is the odometer button on the dashboard that resets miles when taking trip. 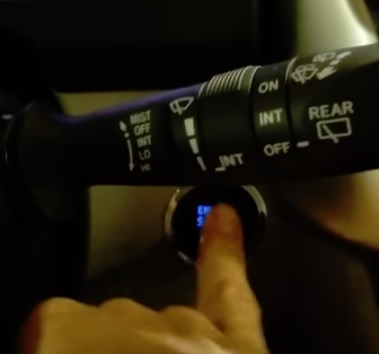 It is located on the dashboard in the Miles display. 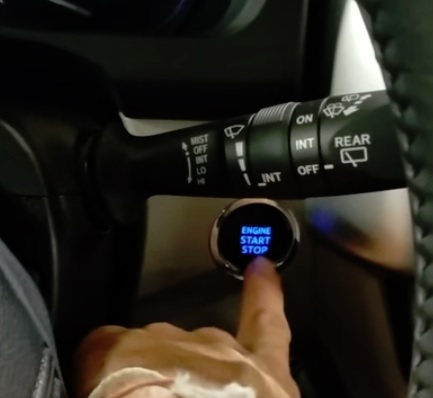 The key or Start button is also used in combination with the odometer button to reset the light. Press the odometer button until Trip A appears. 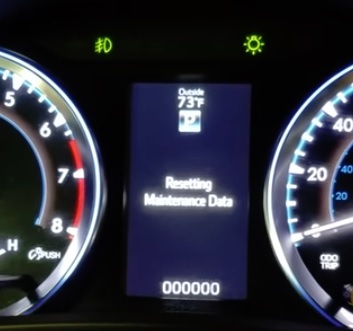 Hold the Odometer button until the odometer displays 000000 Miles. The Light Should Now Be Reset. If the Light does not reset try the steps again. 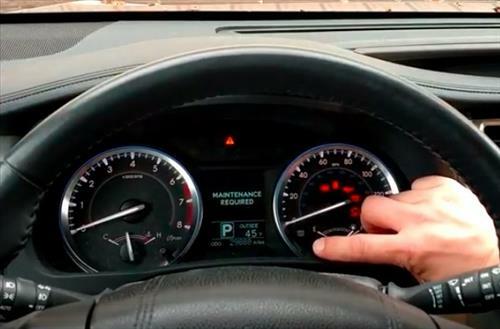 2… Press the odometer button until Trip A appears. 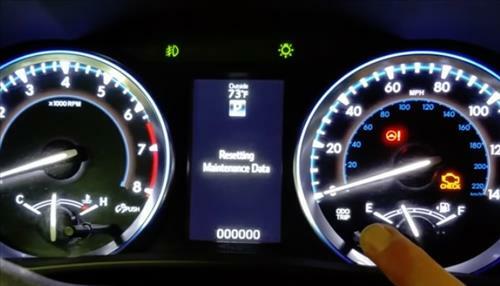 5… Hold the Odometer button until the odometer displays 000000 Miles. 6… The Light Should Now Be Reset. If the Light does not reset try the steps again.